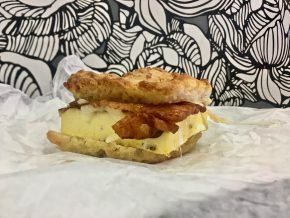 The obvious choice was the Biscuit Egg Sandwich, which is made with a house-made biscuit, egg souffle (really a scrambled egg square) and white cheddar with the option to add bacon or sausage for $1. I tried both the bacon and the sausage, and the bacon was my preferred biscuit meat. Yet, despite the meat, the most amazing thing about the sandwich was the biscuit itself. It has an amazing crispy texture on the outside and was delightfully fluffy on the inside – just as a biscuit should be. It was also plenty moist, which is a word that I always like to use to describe pretty much anything. And the best thing about the sandwich was that I was able to eat something “wich”y in Salem. I know you’re laughing. Fine, whatever. Don’t laugh. 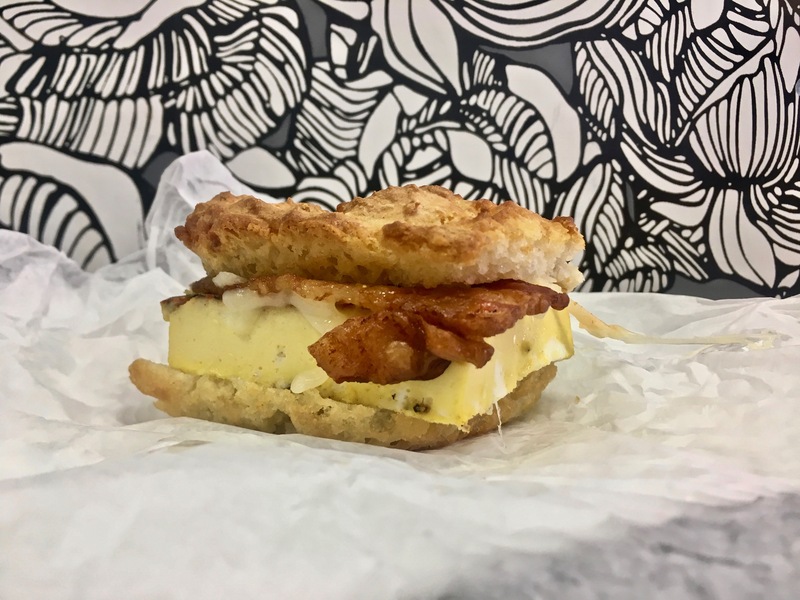 But do eat the Biscuit Egg Sandwich if you ever make your way to Salem and are in need of breakfast.